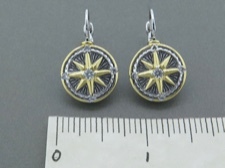 Lovingly handcrafted compass rose earrings with some very special coordinates on the back! St John, Virgin Islands - loved for its pleasant soft climate, relaxed atmosphere, great beaches - not to forget the amazing views, dense forests, world-class sailing, hiking trails and donkeys! 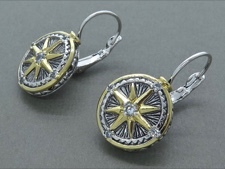 These earrings are made from lead-free premium alloy with rhodium and 14K gold electronic plating. 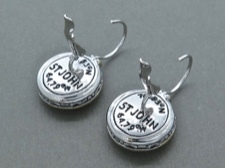 The finish is permanent, non-tarnishing, and easy to care for. 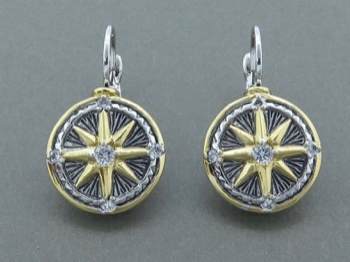 The compass rose is sparkling with lovely cubic zirconia. Please see below for a size reference.